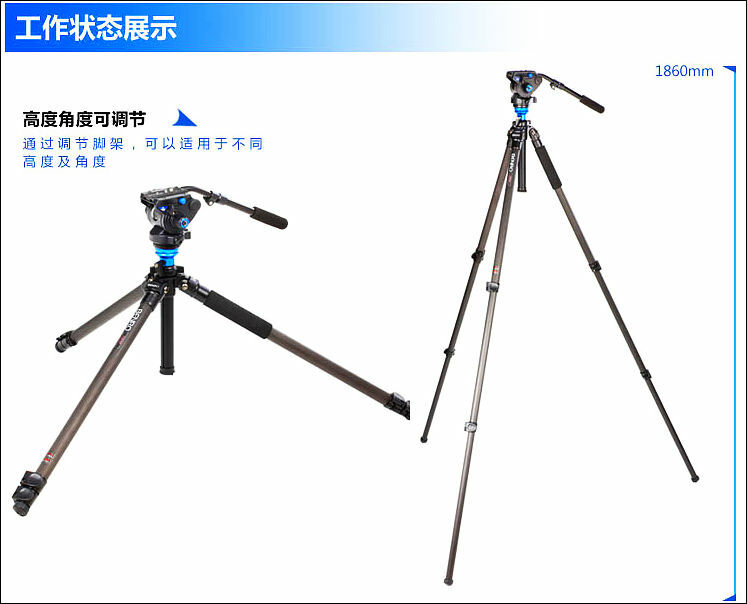 This family of tripods is made to close significant gap in video tripod offers. As we either had cheap plastic heads on very bad legs with good weight, or full fledged video tripods with big metal heads. Both of them are not best company to your small camera if you are travelling or like to walk a lot. Send me personal message (on the left column at http://www.personal-view.com/talks/profile/1/Vitaliy_Kiselev ) if you want to purchase it. Shipping: Includes fast express shipping for US/Canada/UK/Australia&NZ/Western Europe. Contact me for any other regions. Packing: Very good padded bag for tripod and good packing. Shipping: Includes fast express shipping for US/Canada/UK/Australia&NZ/Western Europe.Contact me for any other regions. Packing: Very good padded bag for tripod and good packing. 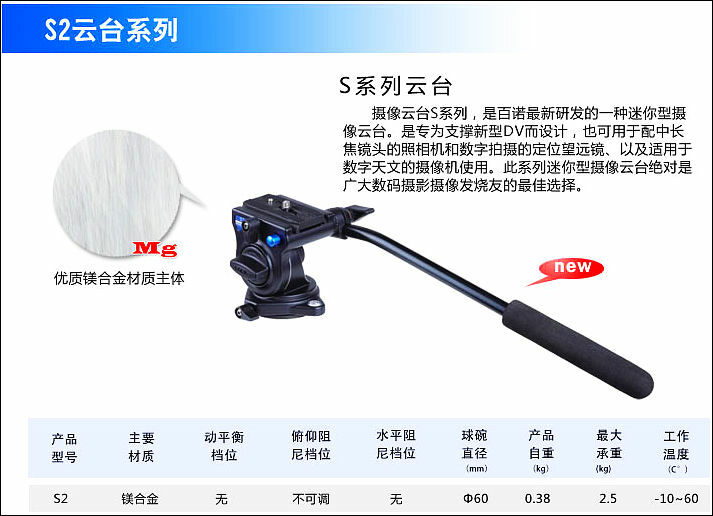 Head looks good, with such light package it has counterbalance adjustment. Shipping: Includes fast express shipping for US/Canada/UK/Australia&NZ/Western Europe. Contact me for any other regions. 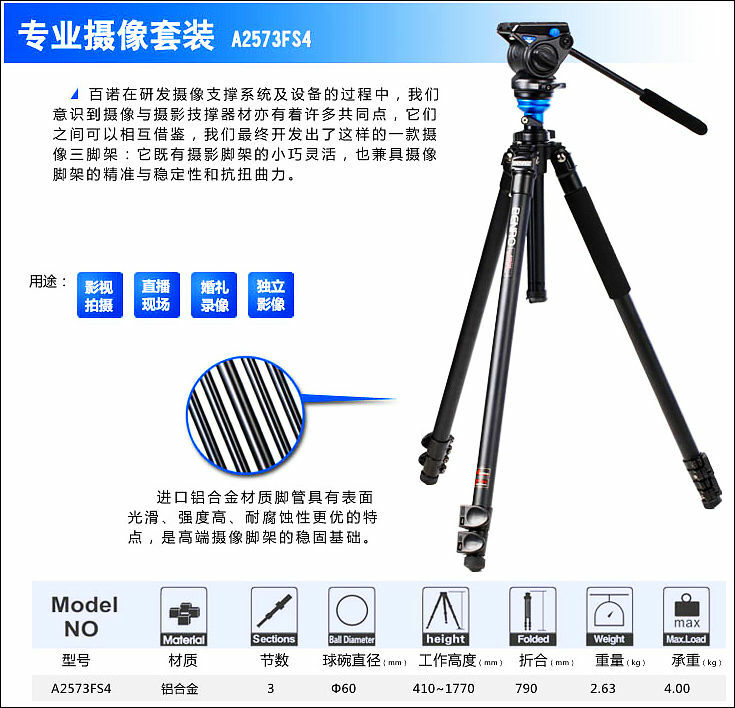 Very good package if you are tired by big video tripod. 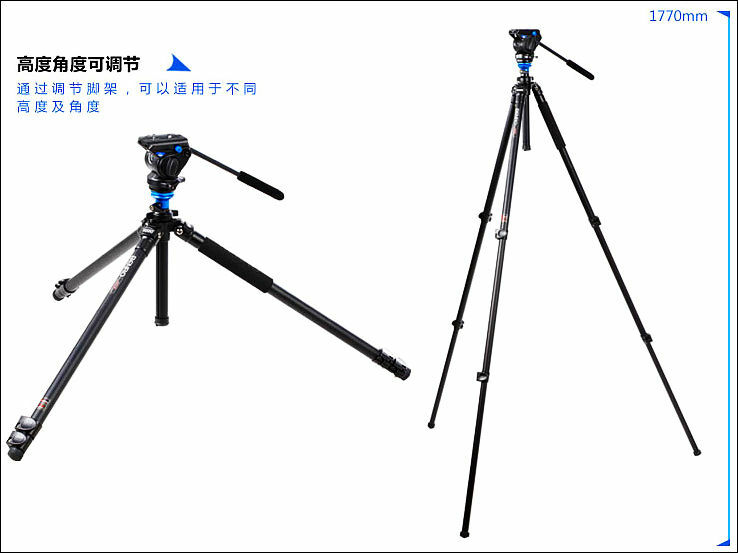 It has levelling base, so you can have advantage of ball type tripods on such light package. Fluid heads are also video oriented. And it is really light. All tripods come with good padded bag. Dang! I just bought the Weifeng 718 sticks and was thinking of adding an Achratech levelling base to get this function. 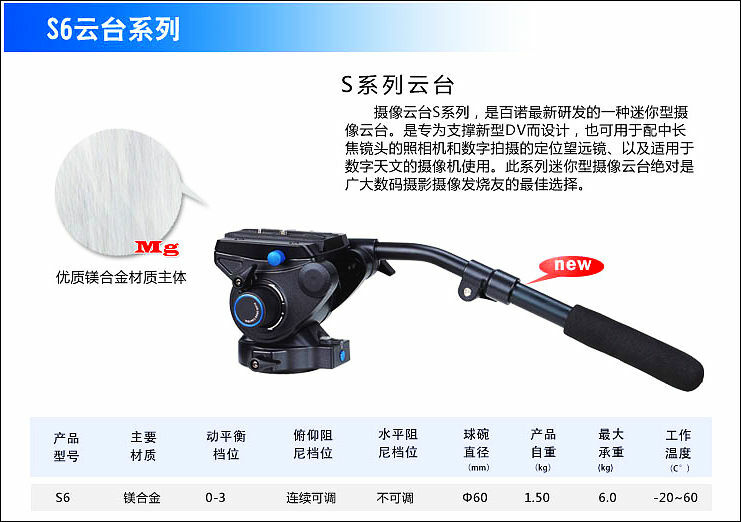 I wonder how the fluid head is and If it's sturdy enough to put a Konova slider on it. Anyone with Benro experience? This legs and head are not made for sliders (may be Varavon Lite :-). They are made for light camera with not a big lens. @Vitaliy_Kiselev Yep, the slim Varavon is an option too! Shure would keep my GH2 setup lighter :) If the head on this is smooth enough (I don't use lenses longer than 100mm) my Weifeng+Konova is going to eBay. I don't know how good is the head. 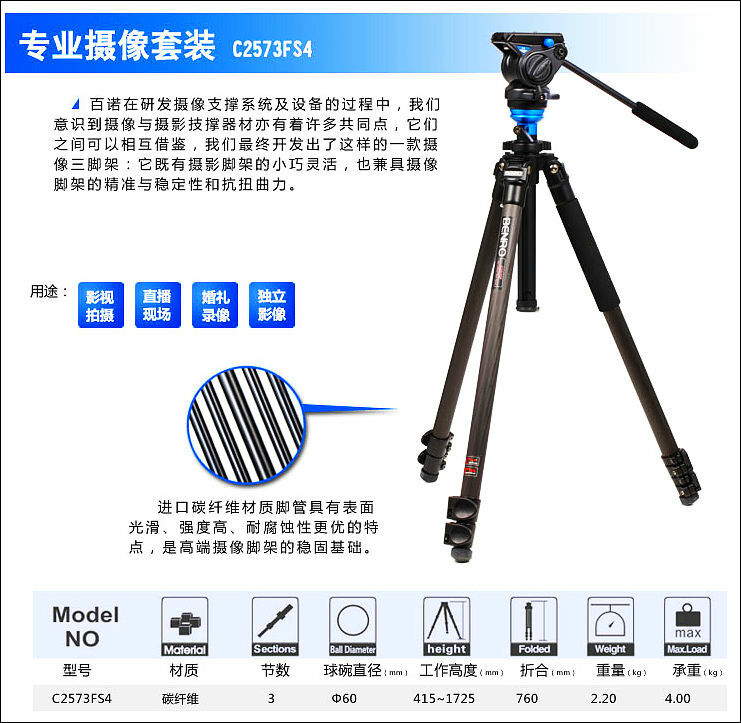 The platform is for quick and convenient leveling of tripod heads. It's able for ±15˚ pivoting. Yes, but most probably you won't like the price. Good levelling bases are not cheap. Does the S2 head compare to the Weifeng 718? Legs seems the same except for the leveling on the benro. 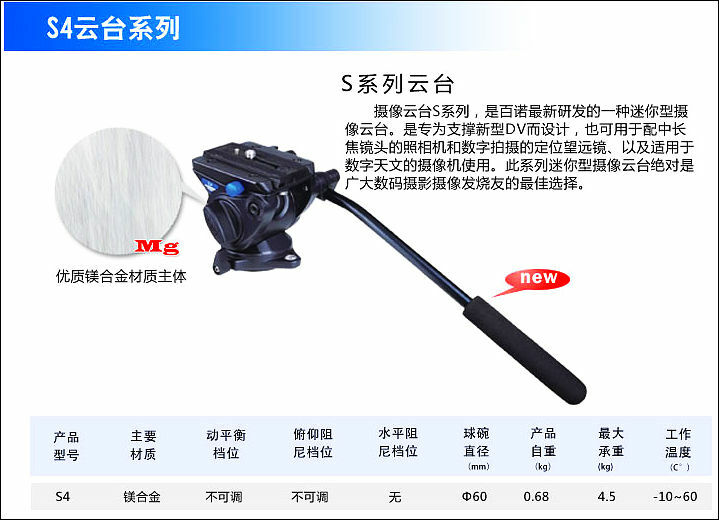 Weifeng has hook for added weight stability. No one knows it, as I said you in PM, it is new tripods and new heads. Also Weifeng will have more weight. And the levelling is big advantage. 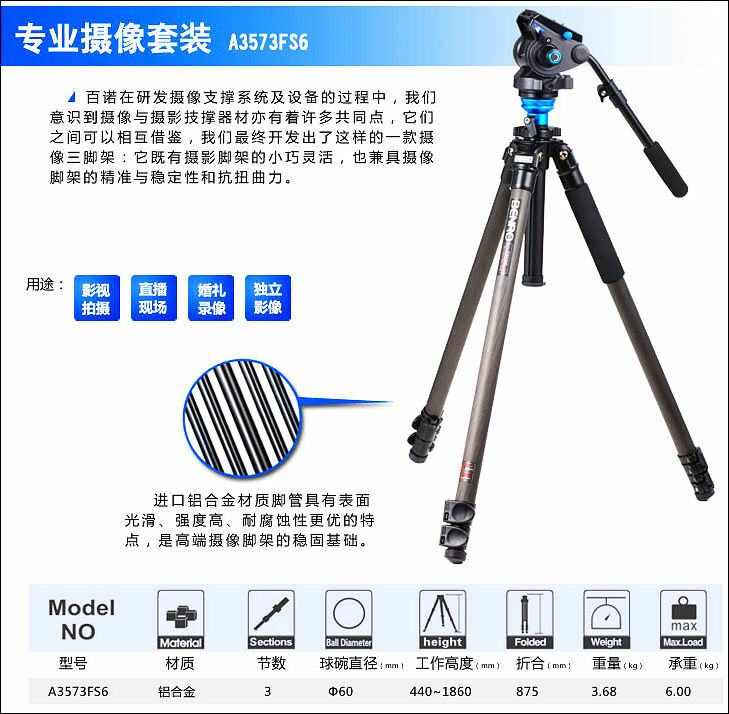 So after two weeks any brave user who bought this tripod? How compact does this fold to? Click on images in attachment. Not very compact. But they are really lightest tripods made specially for video shooter. Just bought the AF2. Will review it when it arrives. Got the AF2 in the mail yesterday from China. Legs are great with little flex, as good as my Weifeng 718. It's much better than my old Velbon C-600. The screw locks are tight and quieter than flip locks to adjust. Great for us wedding shooters. Center column is easy to adjust, and can be inverted. Springloaded hook to attach weight. The leveling ball feature is perfect! This i why I got this tripod in the first place and I'm very satisfied with the result. Very smooth and easy to adjust with the built in bubble. Once tightened it stays put. Tried my Konova 80cm slider straight on the ball (removed fluid head) with no major problems. Fluid head is magnesium with plastic knobs. Nice to be able to slide the release plate to compensate for front heavy combos. THE NOT SO GOOD: Pan and tilt motion is rather sluggish and demands some force to move, but is slightly better than the Velbon C-600 (could get better over time once I break it in). I miss the smoothness of the 718, but this head is much lighter. The pan arm is as long as the Velbon C-600 but has CHEAP foam handle. SOLUTION: I put the 718 head on the Benro legs! Works like a charm and the legs have no problem taking the extra weight even with my Vivitar 70-210mm 3.5 beast. The Benro fluid head went onto my Manfrotto 560B monopod instead. Perfect match! Will test the new combo this weekend on a wedding shoot. Pictures to come. 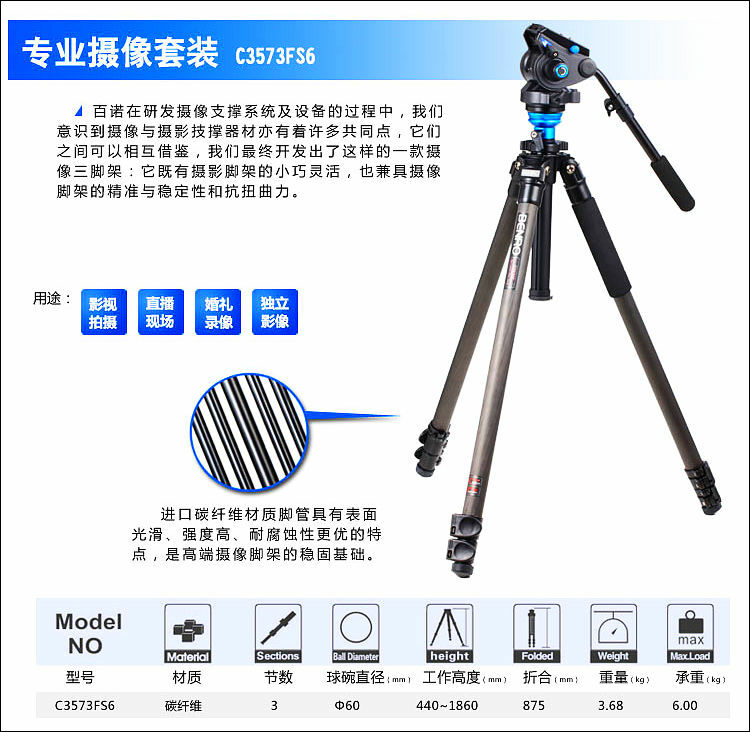 I think that CF6 will be amazing tripod. 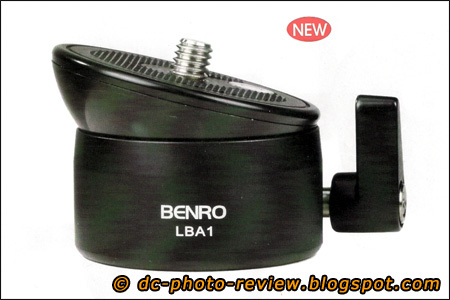 @oscillian wonder if the Benro fluid head would mount onto some Manfrotto 190XB legs? Why not? It must mount on any flat tripod base. @labalbi It was the head from the Benro S2, but it was to hard to work with, especiallt tilting was not smooth enough. I replaced it with the Velbon PH-368 and used that combo for some time with good results. The Velbon is one of the better budget fluid heads. Later on I got the 561 BHDV-1 and wow, what a change in quality! I love the 701 head that comes with it and the extra height of the 561 have saved many shots. Wonderful tool! Like people have said over and over again: invest in good support from the start. It will be with you for much longer than the cameras. If I would do this again, I would have saved up and got the 561 from the beginning. Hey. You´ve found my review ^^. Btw. : (Additional information) I kept the A3573FS6 kit as my main tripod kit for now. It is still VERY nice to use, very flexible and a VERY GOOD option / choice at this low price point. Just need a geared head now (to take advantage of the leveling base for stills ...). Is the B&H model a lower grade than the one you have? Another question I have would the S6 head work well on one of the new Benro monopods with the blue feet? Hmm. 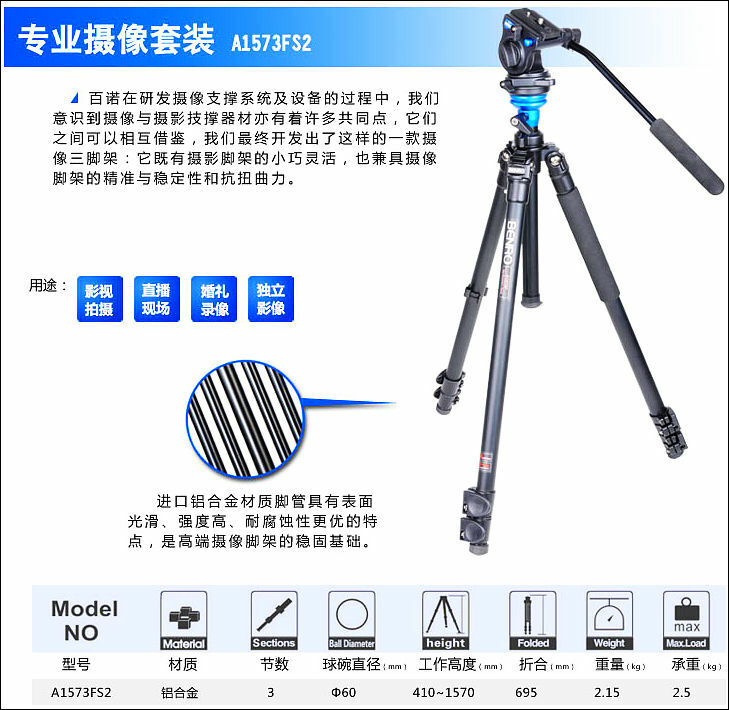 It looks like they are now offering the A2573F tripod with the S6 head too. The A3573FS6 kit I bought & which I am still using btw. was the original one. BUT: The A2573F tripod is also (more than) stable enough to hold the S6 head and your rig / camera (as it´s also specified for way higher loads than the S6 head itself - like the A3573F). So if it´s the cheapest kit with the S6 head (from a good / well known dealer) you´ve found - Just get it and be happy with it (because the S6 head is the important feature) ^^. 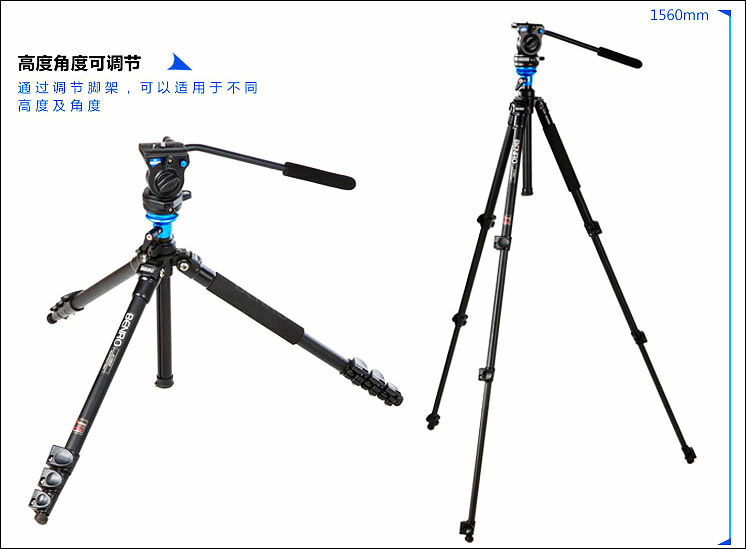 The Benro monopods with the blue feets are nice btw. - But don´t expect to add too much load or a bigger rig to them, because they are maybe getting uncomfortable (and it´s just too unsafe - It would be at least for me). They are more designed for a single camera & quick and dirty repositioning / shooting (and for this purpose it´s perfect yes). The best way is for sure: Get the A2573FS6 kit first - And then try out the S6 head on a monopod to see if you like it (the S6 head is very nice - but also quite heavy and big - so maybe not the perfect head for a monopod). You can also test out a "normal" monopod (if there´s no bigger dealer with the benros at your location) - Just remember: The feets of the Benro monopods are adding stability and the ballhead at the bottom is there, to move it more freely. Oh. AND also be aware: A leveling base (the benro for example) is maybe a necessary feature for the monopod too - Otherwise the system is maybe too unflexible for video shots (especially at locations with limmited space). Hmm. All in all I think a monopod is a quite expensive add on (incl. leveling base) which is not the perfect solution to shoot very fluidly (because it´s already hard to do this with a normal tripod). It´s more kind of a compromise if you´re shooting always or at least very often at places with VERY limmited space. And I also don´t think that the S6 head is the perfect head for a monopod - I think you need something more compact. Btw. : I am talking about it as an "add on" because you always need a good standard tripod first (aka at least the A2573F or A3573F). I am for example just carrying around the A3573FS6 kit all the time (if I want to shoot fluid video and stay on one place longer). It´s by far not too heavy - Especially compared to other video tripod systems (with double rods and speaders). And for quick and dirty shooting (at locations with VERY limmited space) I use a Cullman Cruiser shoulder support / mini tripod system with the camera only and a optical stabilized lens (check it out - it´s maybe better than the monopod solution - It´s cheaper, smaller, not THAT visible for other people and you can carry it with you ALL THE TIME if you want to ...). Hope that helps. Sorry for the long text btw. But I am always mentioning everything (like in my videos) ^^.